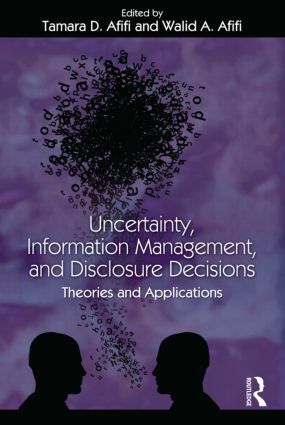 This volume integrates scholarly work on disclosure and uncertainty with the most up-to-date, cutting edge research, theories, and applications. Uncertainty is an ever-present part of human relationships, and the ways in which people reduce and/or manage uncertainty involves regulating their communication with others through revealing and concealing information. This collection is devoted to collating knowledge in these areas, advancing theory and presenting work that is socially meaningful. an interdisciplinary approach that crosses sub-fields within communication. This volume is a unique and timely resource for advanced study in interpersonal, health, or family communication. With its emphasis on theory, the book is an excellent resource for graduate courses addressing theory and/or theory construction, and it will also appeal to scholars interested in applied research.